The recent trend we are seeing right now are simple white displays that calm the mind and lift the spirits. 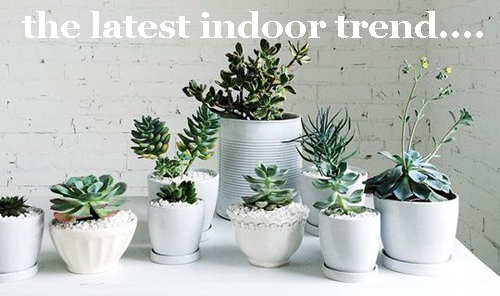 Grouping neutral color pots like white, black, grey, & creme, in front of a window creates a "indoor flower bed" that distracts from the dull, lifeless scene of winter! When you stick to a serene, all white pallet it instantly adds unity to the floral arrangements you plant in them. The key to creating a multi-style container display is to plant them with plants that require similar light requirements. Azaleas, campanula, amaryllis, orchid and pilea glauca all thrive in moderate to bright indirect light. Then consider the location of where you group the pots. For the most part vibrant blooms like southern facing windows. 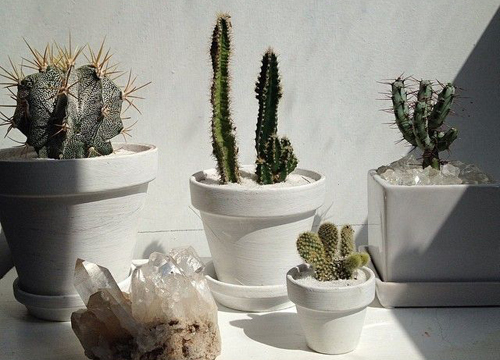 Try to arrange each pot no more than 4 inches away from its neighbor. This makes the air circulation around each pot more humid. That's huge for holiday potted plants that often tropical in origin and require high humidity. 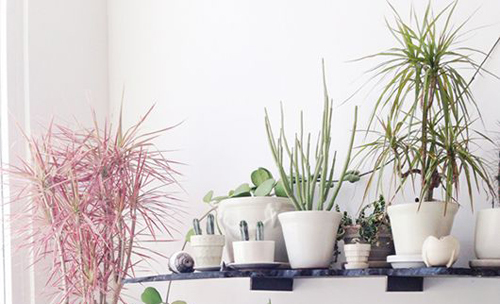 For the most cohesive pottery display, go with vibrant white, and fill with colorful foliage. Bright green plants, colorful blooms like amaryllis, can always balance out the display by adding color & depth. Next go for visual texture by adding containers of different height. Elevate pots with saucers if necessary. Mix different shapes like rectangles, ovals & rounds. Read more..... Bulbs beautiful & easy!